The world’s only French-flag cruise line and leader in Polar expeditions, PONANT, has signed a letter of intent for the order of four ships from VARD, the Norwegian subsidiary of the Italian FINCANTIERI group. The order is the first step in a project to expand the company’s fleet since it was bought by ARTEMIS, holding company of the Pinault family, in 2015. A new phase in the expansion of the PONANT fleetAt the end of a tendering process, conducted by Barry Rogliano Salles and involving several top European shipyards, PONANT, has selected VARD (Vard Holdings Limited) to build its next four ships with delivery of the first one expected in 2018. 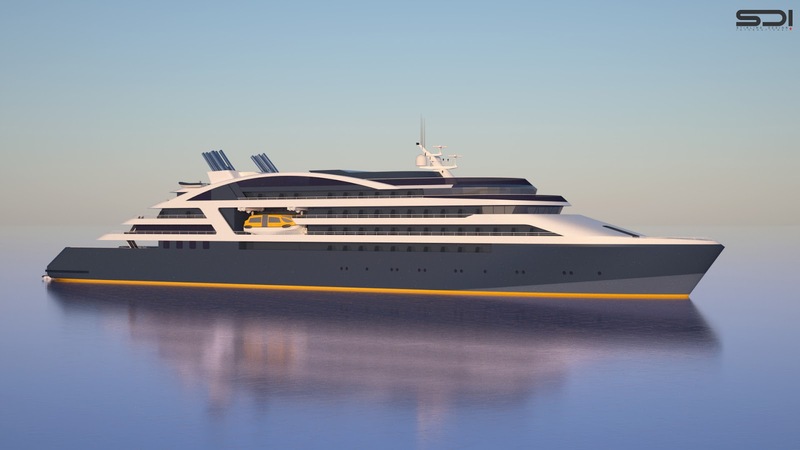 With an exterior designed by STERLING DESIGN INTERNATIONAL, the ships will be equipped with the latest environmental preservation technology. They will join the Company’s emblematic sailing yacht Le Ponant and its sisterships, Le Boréal, L’Austral, Le Soléal and Le Lyrial, four state-of-the-art yachts built by FINCANTIERI between 2010 and 2015. After White Expeditions, enter the Blue and Green ExpeditionsIn a fast growing sector of the cruise market, PONANT is reaffirming the relevance of its business model focused on the buoyant expedition niche. Leader in Five-Star Expeditions to the polar regions, the company is bringing all its expertise and knowhow into developing this concept that combines an exclusive blend of luxury and exceptional destinations. 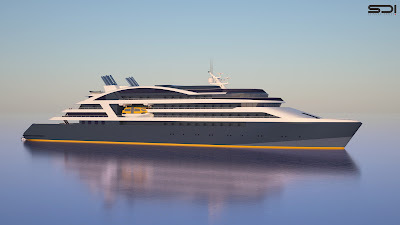 On board the Company’s four new ships, Blue Expeditions will for instance focus on exploring Oceania, its lagoons and secret islands, while Green Expeditions will take passengers amongst other places to South America’s best preserved sites, Orinoco River in Amazonia, Costa Rica, Papua New Guinea, or the Indian Ocean. The result will be a host of unusual itineraries to get as close as it is possible to local cultures, rare and exceptional flora and fauna, during excursions on a unique fleet of Zodiacs with naturalists on board. Thus, PONANT intends to strengthen its position as the reference of a new style of luxury cruising under the French flag, combining exceptional itineraries and five-star facilities, unique on the market, aboard small capacity vessels.